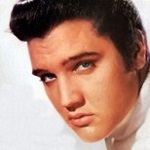 Elvis Presley was born on this date in 1935. Although one of the most successful musicians in history, Elvis never learned to read music — he knew, instead, how to mimic what he heard. Explain how you accomplish something everyone thinks you’re good at but at which you feel you’re faking your talent.